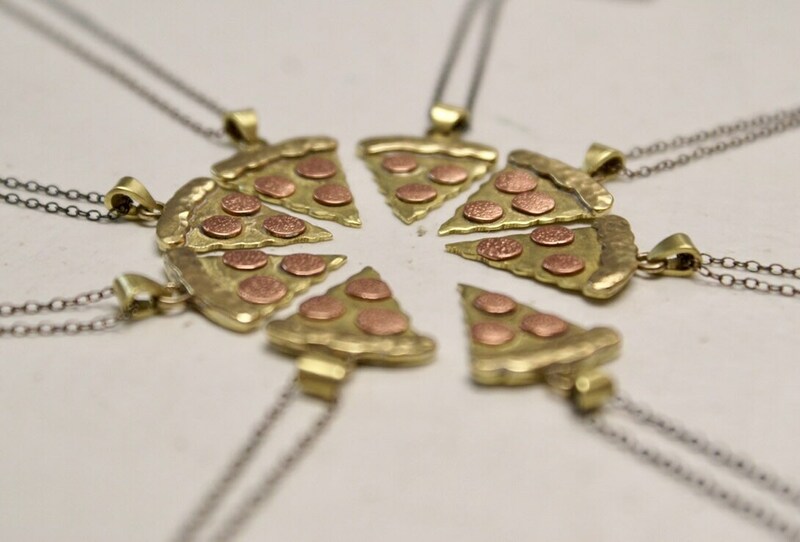 The first pizza slice charm necklace I made was an epic, one-off birthday gift for my fabulous best friend... little did I know that the outpour of demand for more slices (with special toppings requests and vegetarian options) would be so massive that I’d soon be cooking up a whole artisan pie— 1/2 pepperoni, 1/2 veggie, of course! 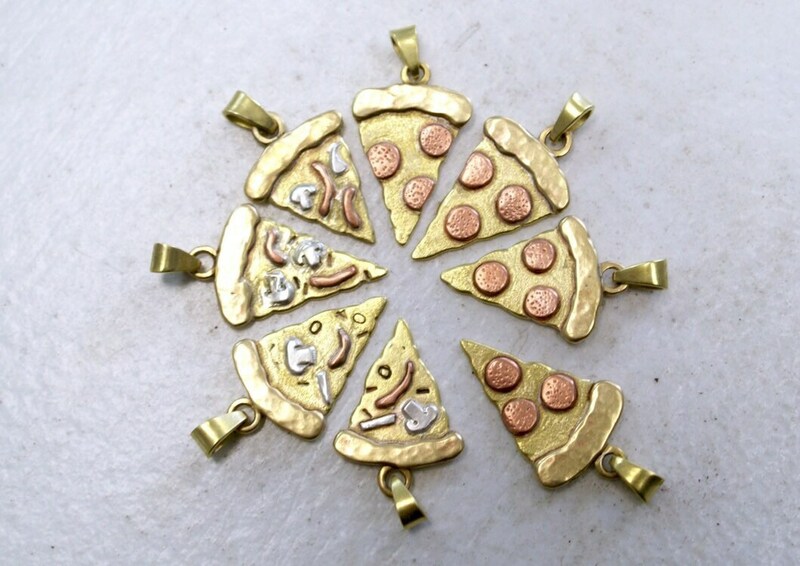 Each slice uses four different types of metal to achieve the pizza-y colors: yellow brass for the cheese; bronze for the crust; copper for the pepperoni / red peppers; sterling silver for the mushrooms and onions. I hand-saw every layer and topping, blacken the little stamped “O”s for the black olives, and texture the pepperonis and cheese for contrast.